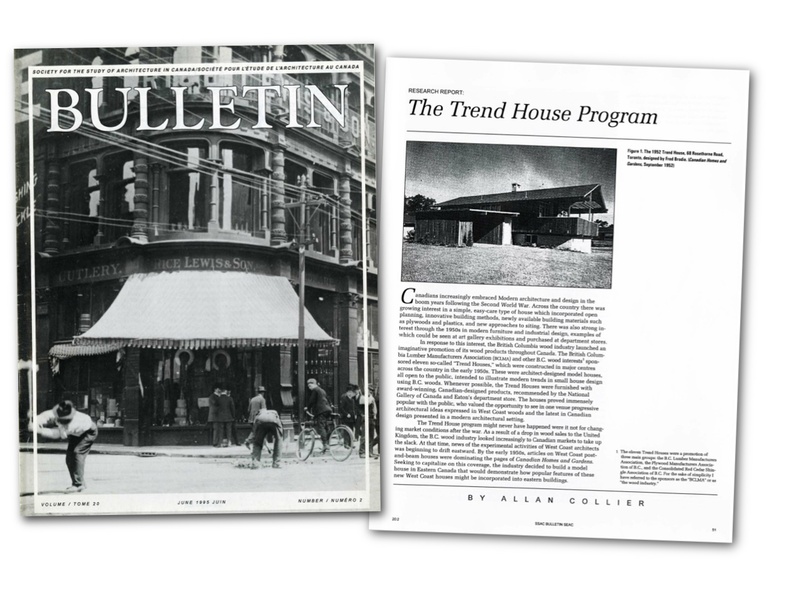 A while back, Allan Collier got in touch with us to let us know about an article he wrote in 1995 for The Society for the Study of Architecture in Canada (SSAC) Bulletin. Allan is a Victoria-based collector/curator, specializing in Modern design and architecture in Canada, and a video of his excellent exhibition on post war furniture design has been included on the site here. The article which is a research report on the Trend House program is an excellent and detailed article and arguably the most comprehensive review of the program published to date. You can download a PDF copy of the article here.